Gauge 22 stitches, 31 rows to 10 cm/4"
Hurricane is an exciting new cake-yarn with print. 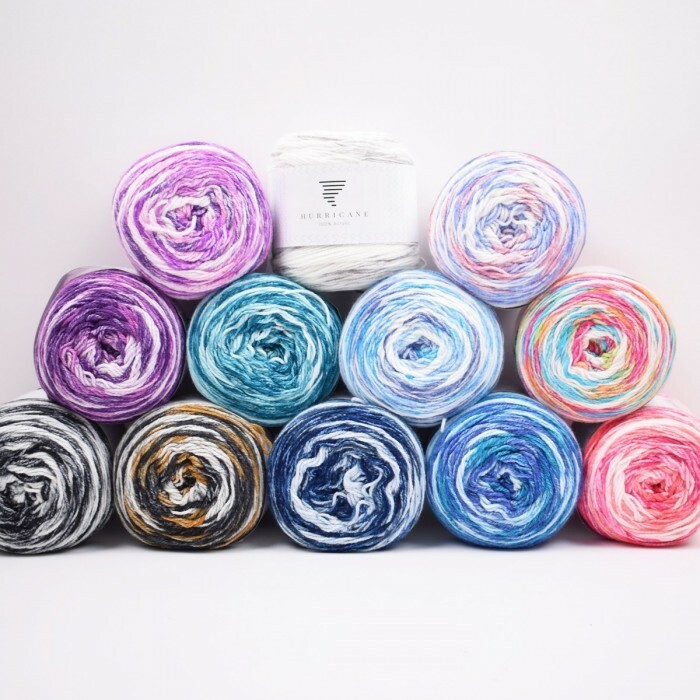 The yarn is super easy to work with and it feels soft and pleasant against the skin so everyone will be able to enjoy it. 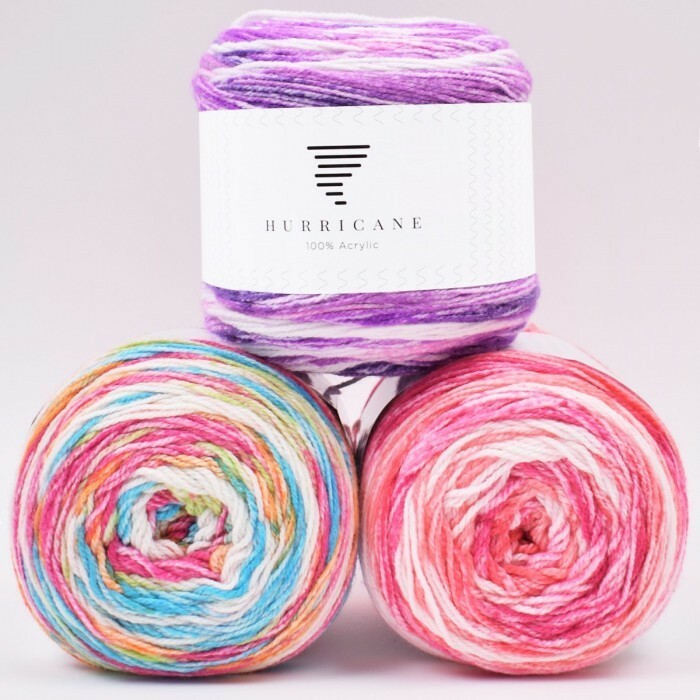 Hurricane is a high bulk acrylic yarn: a specific production process that results in an extra light, yet bulky yarn which is easy to take care of and very easy to wash. 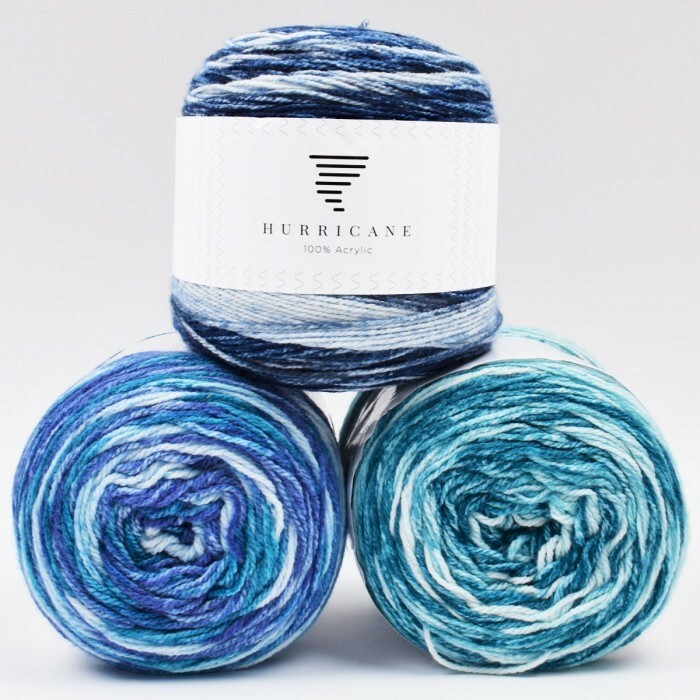 When you knit or crochet with Hurricane, the Jacquard-like pattern will automatically appear. It is perfect to use for home decor such as blankets and cushions or for clothing such as hats, scarves, sweaters or ponchos. Beautiful soft yarn, and plenty of it. I love the colours too! Lovely soft yarn, beautiful colour.